This summer I worked on a fun and different (for me) project. The McCarthy Area Council (MAC) is a local nonprofit that serves as a kind of town government for McCarthy. 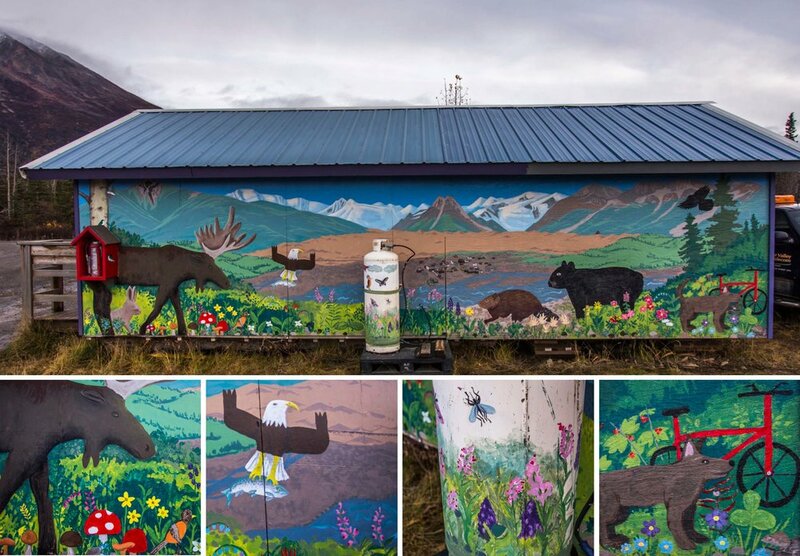 Last year they expanded the mail shack building, and decided they wanted a mural painted on one of the walls with the local kids. I volunteered to organize this project.